While some food subscription boxes fail to make the mark when it comes to taste and creativity, Blue Apron always delivers. A gourmet choice that offers fun meals that are out-of-the-box in more ways than one, Blue Apron helps you plan your meals, delivering perfectly measured fresh ingredients straight to your doorstep. 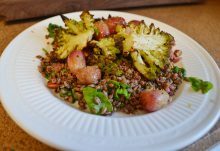 Partnered with award-winning chefs and farmers, Blue Apron provides the highest quality of food and the most innovative recipes, giving you something to look forward to after a long day. All Blue Apron ingredients are sustainably sourced, seasonal, farm-fresh, and never include hormones. Your best meal is ready to go any day of the week! 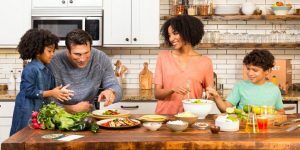 Complete with easy-to-follow recipes, Blue Apron gives busy home chefs a smart solution, allowing them to cook delicious food without having to worry about extra trips to the store or expensive leftover ingredients that never get used. Get out of the box and get into the kitchen with a Blue Apron subscription! Want wine with your meals? There’s an option for that, too! 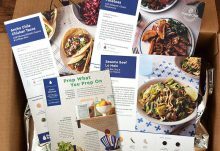 Blue Apron features two different plans for your convenience, one designed for two-person meals and ones designed for families of four. You choose how many recipes you want delivered each week – two, three, or four. A two-person plan ranges in price from $47.95 to $59.94 each week. A family plan ranges from $71.92 to $143.84 each week. Each week’s box is tailored to your specific dietary needs, allowing you to choose meals that everyone will love. Going on vacation? Want to skip a week? Blue Apron makes it easy to pause or cancel subscriptions as needed. No questions asked and easily done online through your personal account. Blue Apron currently ships its weekly boxes to all 50 U.S. states. Shipping is free! 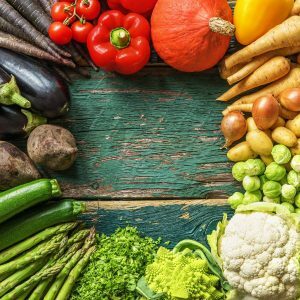 How would you rate Blue Apron ? EXCLUSIVE Blue Apron Deal: Save $32 Off Your 1st Meal Box! 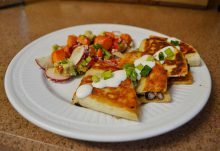 Blue Apron: Get $30 Off Your First Blue Apron Order!